A phenomenal amount of new cars have hit the roads over the last 12 months or so and once again, our dedicated panel of road testers and writers have been busy pondering over which models are worthy of their own accolade. That’s right, awards season has rolled around once more and as always, ContractHireAndLeasing has you covered! 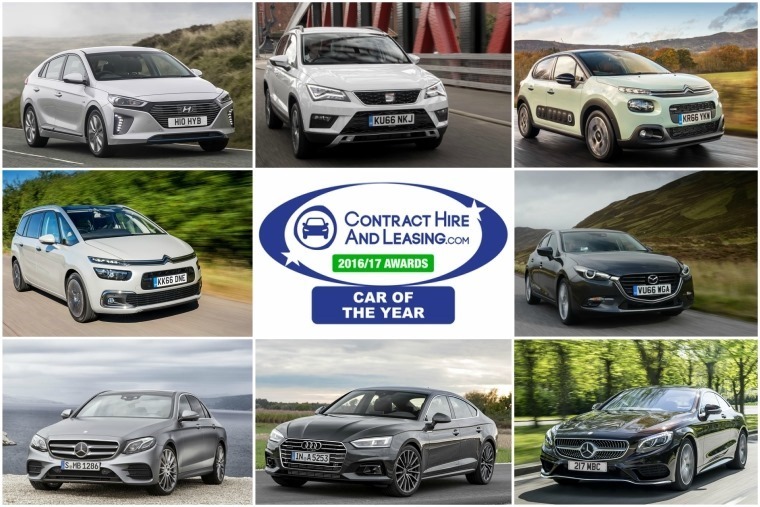 Principally of course, there’s our coveted Car of the Year Award to consider, but with 13 separate segment wins also up for grabs, we’re nothing if not thorough! 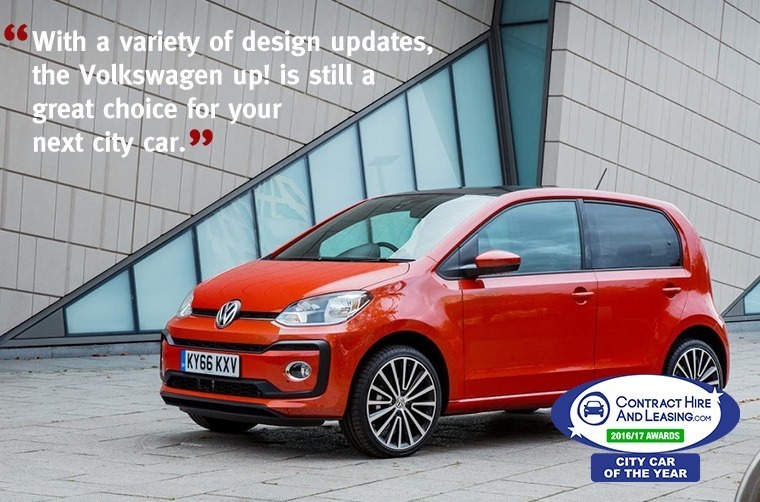 The Volkswagen Up isn’t the newest car on the scene, but thanks to a raft of updates it remains one of the most desirable and practical city cars out there. While the frugal 59 and 75bhp 1.0-litre units are still perfect for nipping around town, last year saw the introduction of a more powerful 89bhp option too. This makes the Up just as easy to drive on motorways as it is in built up areas. The newly introduced Beats Edition gives you a stereo that’s as potent as the engine too, but whichever Up you opt for it still offers what it always has: fantastic build quality, class-leading interior space and of course, that sought after German badge. 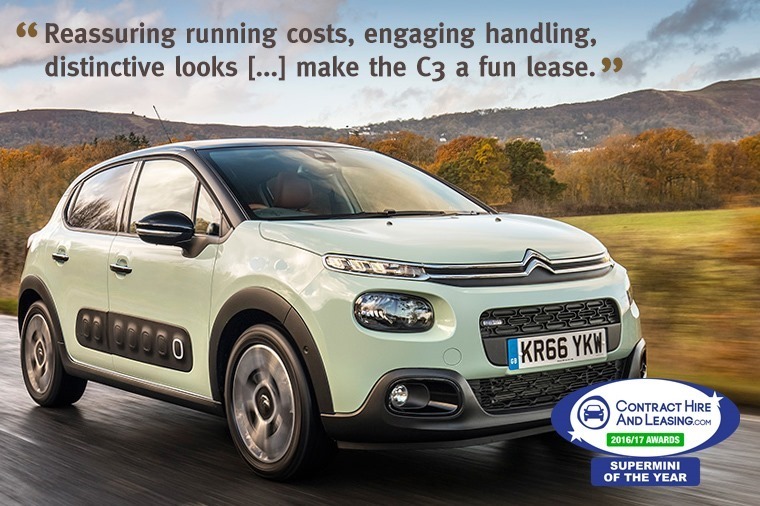 Certainly one of the most distinctive cars launched recently is the funky Citroen C3. With the same styling cues of the C4 Cactus, it’s gets a much more inspired look than its forebear. But those individualistic air bumps aren’t the only reason it wins our supermini of the year award. Most Mazdas used to spend their life in the shadows of the iconic MX-5, but its latest line up are all every bit as fantastic as the drop-top sports car. The Mazda 3 was updated last year, although it didn’t really need much if we’re honest. A fresh grille keeps the car looking youthful, while inside there’s a plethora of tech available. It’s available with a wide range of petrol and diesel engines, all of which provide an entertaining drive. For us though, it’s the Mazda’s fantastically set up chassis and stand-out looks that set it apart the most in this crowded market segment. 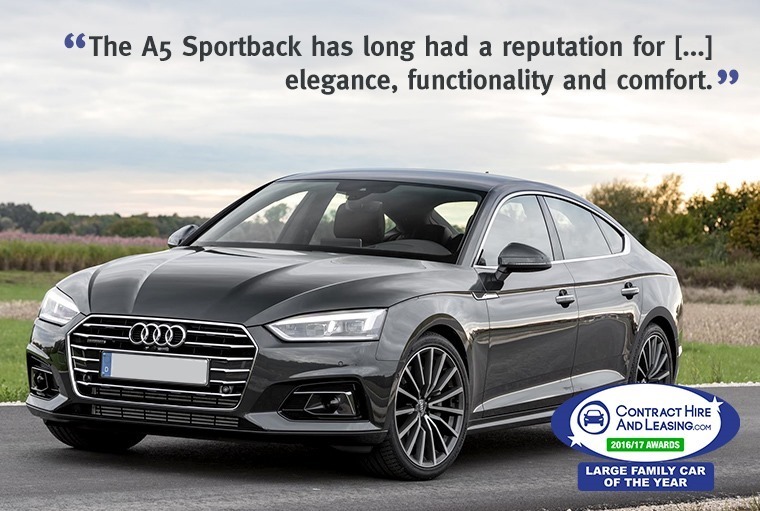 The Audi A5 Sportback may not be the most conventional choice of family vehicle, but for those that want the very latest in German tech and design, it’s certainly one to consider. It’s the sporty fastback look that won us over, and makes it a more interesting choice than opting for an A4 saloon. Just like the A4, it’s practical too. In fact, it gets an identical 480-litre boot. Audi’s latest and greatest power plants are all there, the most powerful of which produces 284bhp. With sleek looks, a class-leading interior and refined engines, the Sportback is a cut above its rivals in every regard. 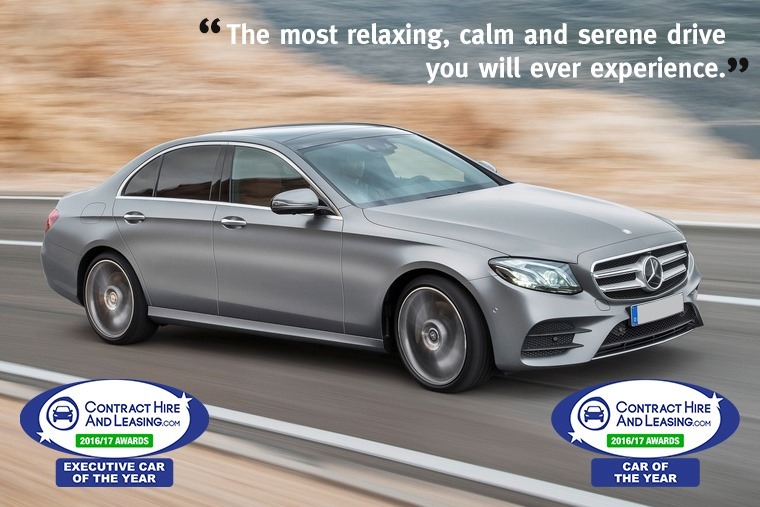 Just like its C-Class sibling, the Mercedes E-Class is one of ContractHireAndLeasing’s favourite cars. However, its latest incarnation has really broken the mould. Where an E-Class of old could be considered a larger C-Class, it’s now a baby S-Class. 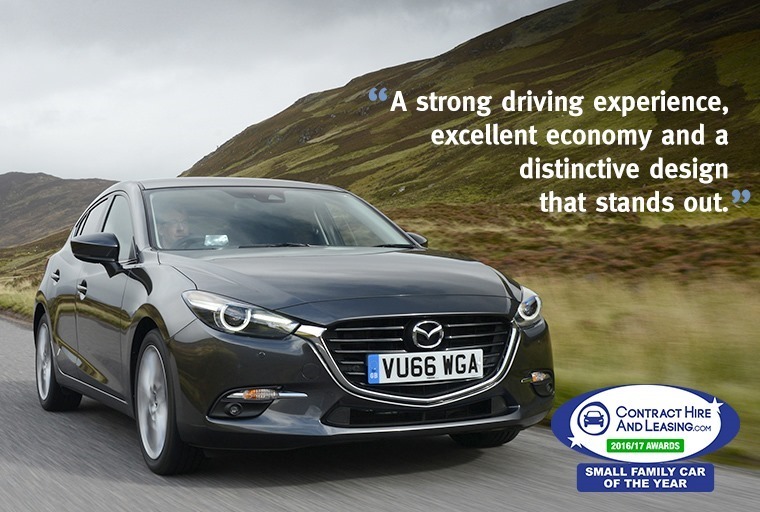 Its engines deliver power and economy in equal measure and all are mated to a silky smooth 9-speed automatic gearbox – a mixture we think makes it the ideal motorway cruiser. Long distance comfort is enhanced further by the beautifully put together interior, where you’ll find every conceivable accoutrement on even basic models. Put simply, it’s one of the best cars available today. You’d be forgiven for thinking we’ve got a thing for Mercedes, but the Ingolstadt-based company really is on a roll at the moment. 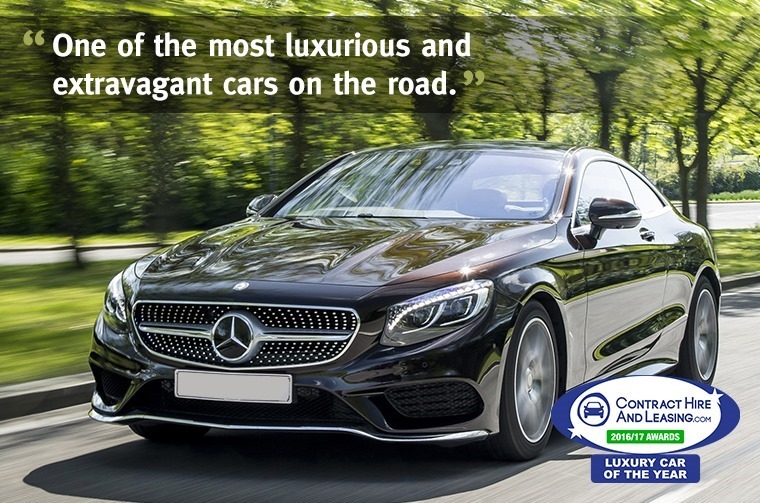 The E-Class may be the perfect executive express, but what if you’re after something truly opulent? Can Mercedes compete with the likes of Aston Martin or Bentley? Well the answer comes in the form of the magnificent S-Class Coupe. 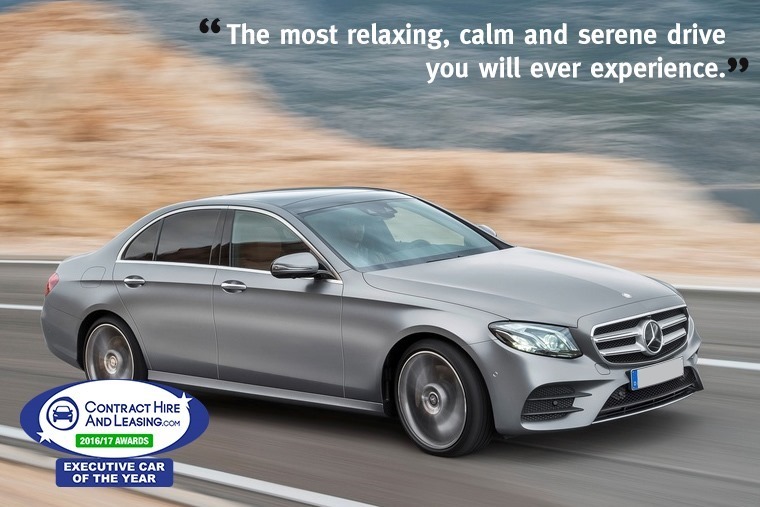 Whereas the S-Class saloon is all about being a passenger, the Coupe makes it all about the driver; yes, every conceivable creature comfort is still there, but a dynamic chassis set-up and a host of thunderous engines make the driving experience as athletic as it is opulent. The S-Class Coupe is the ultimate Grand Tourer. 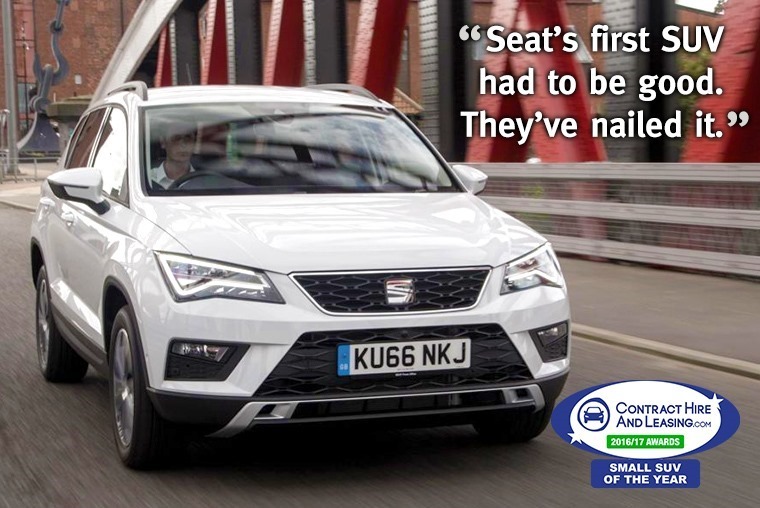 Seat came quite late into the SUV game when it launched its Ateca last year, but it was worth the wait. It uses the same underpinnings as the new Tiguan, but unlike the Volkswagen, it feels and looks more like a fun hatchback to drive than a sensible family wagon. That’s because it shares its appearance and componentry with Seat’s sporty Leon. As such, it stands to reason the Ateca should be just as good behind the wheel too, and it doesn’t disappoint. With its impressive mix of handling, space and good looks, the likes of the Nissan Qashqai and Ford Kuga need to watch their backs. 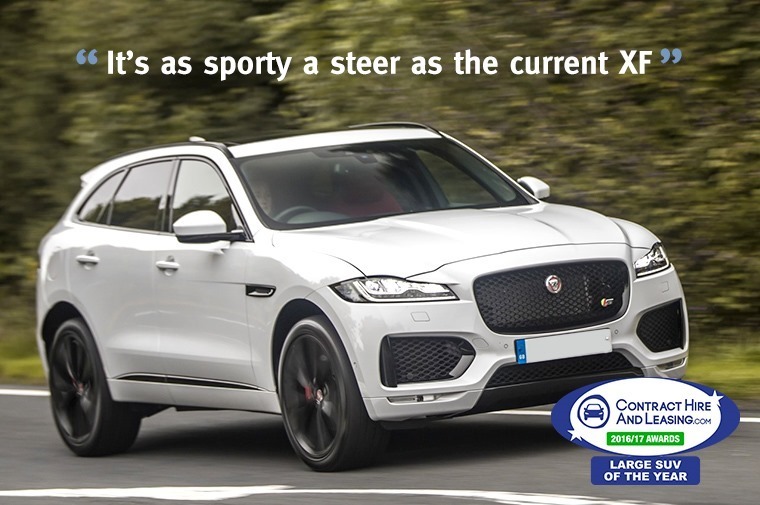 Taking on the Audi Q5 and Porsche’s highly praised Macan was no mean feat, but Jaguar certainly pulled it off with its striking F-Pace. A lightweight aluminium construction means despite a capable four-wheel-drive system and all Jaguar’s usual interior refinements, it’s both agile and frugal. A sporty steering set-up means it doesn’t feel too far behind the current XF from a driver’s perspective, particularly in rear-wheel-drive guise and, although it’s not what we’d call a conventional look, we think it’s one of the best-looking cars Jaguar has built for a while. 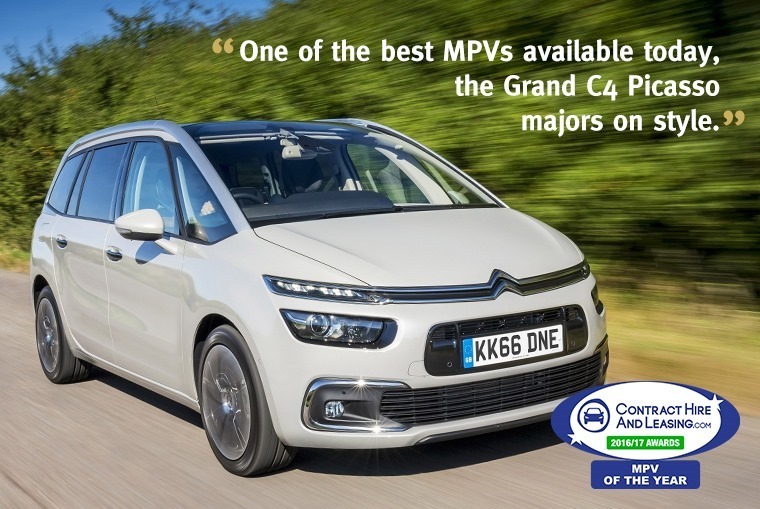 In the British lexicon, the name Picasso is now probably more associated with MPVs than it is with surrealist paintings, and the updated Grand C4 Picasso ensures this trend continues. This behemoth seven-seater gets a flexibility that makes it the perfect family load-lugger around. Huge infotainment and driver info screens now dominate the dashboard, which along with the spaceship looks give the Grand Picasso a futuristic flavour. Some people carriers can be rather drab, but not this one. The Grand Picasso doesn’t try and apologise for what it is, and that’s why it’s a winner. With the exception of the MX-5, two-seat roadster convertibles are sometimes viewed as a relic from a different era. But Fiat’s changing all that. Enter the 124. Ok, the namesake is carried over from a fifty-year old car, but we can assure you there’s nothing retro about it under the skin. That’s because it uses the MX-5’s basic platform. It doesn’t share an engine with the Japanese car however, and that’s no bad thing. 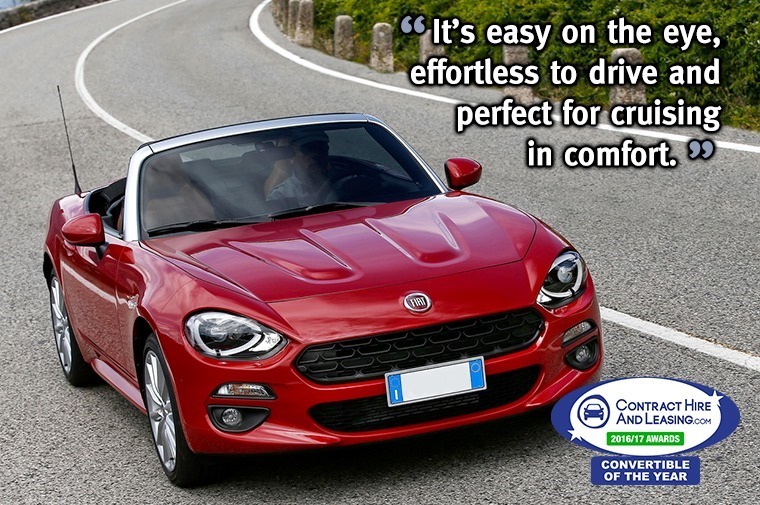 Fiat has developed its own 1.4-litre turbocharged engine for the job, which gives the little Spider a unique character of its own. Since the introduction of attractive company car and employee tax incentives were introduced, pick-up trucks have been taking off in the commercial sector. Not only is it a beast-of-burden, but it can double as a family vehicle. 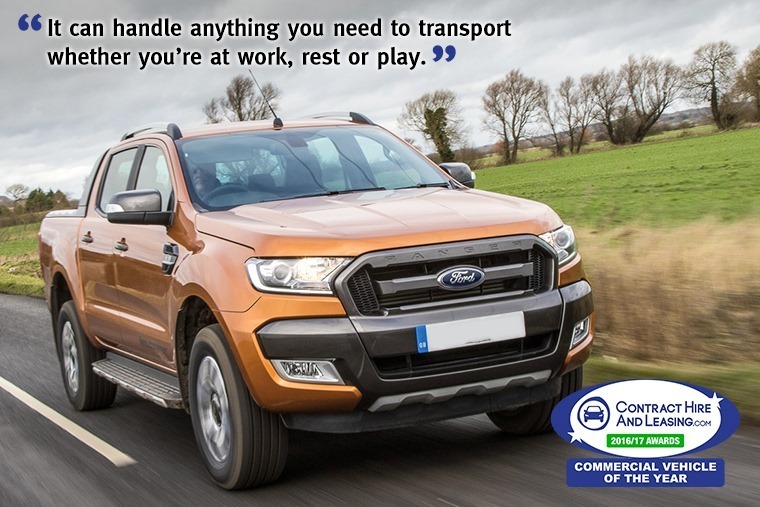 So, if you’re wondering just how ‘car-like’ pick-up trucks are these days, look no further than the splendid Ford Ranger. As well as being available with an all-out four-wheel-drive system, opt for the double-cab variety and you’ll have a practical vehicle that’s capable of seating five. What’s more, interior quality is on par with the rest of Ford’s range, while opting for the Wildtrak edition will get you satnav, a reversing camera and ambient lighting to name but a few features. The Hyundai Ioniq shouldn’t just win our best green car award; it should win three of them, because this all-new model can be specified as an all-electric vehicle, a plug-in hybrid, or a conventional hybrid. To keep things simple though, we’ll stick with the conventional hybrid. 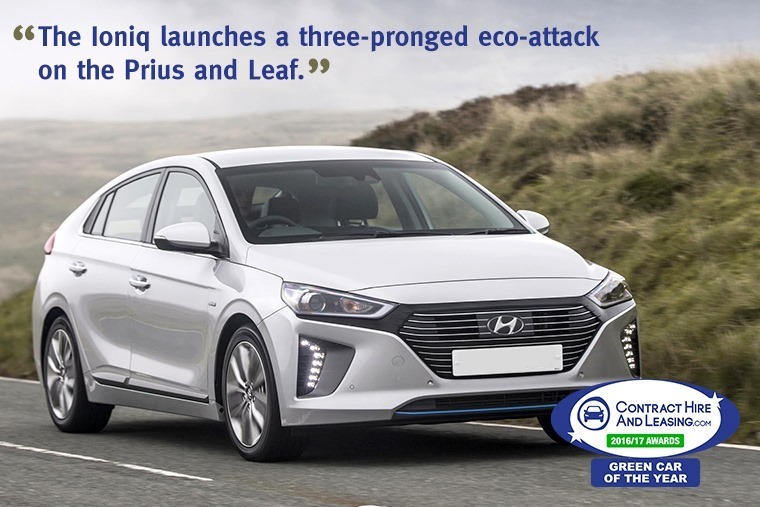 Aimed squarely at tackling the Prius, it’s the value of the hybrid Ioniq that’s just as impressive as its eco credentials. Not only does it produce just 79g/km of CO2 and achieve up to 74mpg, but it gets alloy wheels, cruise control, air conditioning, rear parking sensors and autonomous emergency braking as standard. And you get all this for an eye-catchingly affordable monthly price. An easy choice. 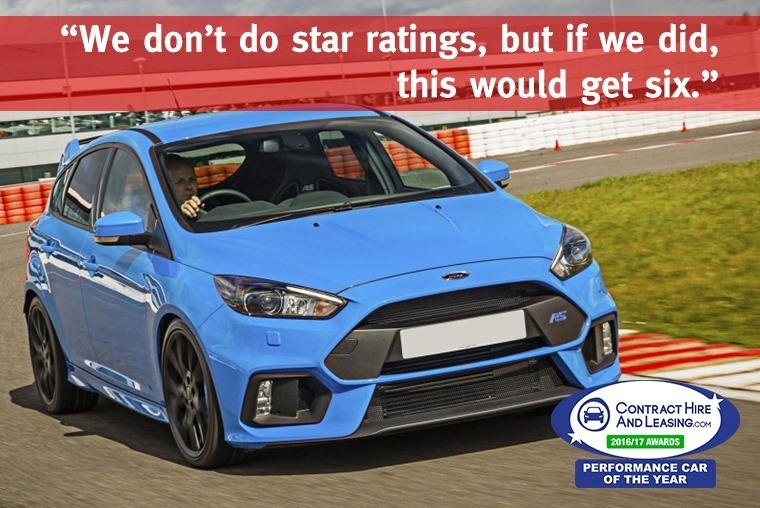 The latest Ford Focus RS was without doubt one of the most anticipated performance cars for years, and it did not disappoint. It gets to 62mph from rest in just 4.7 seconds thanks to the 2.3-litre Ecoboost engine that can also be found in the Mustang. Not only can this 346bhp Ford embarrass cars bearing Porsche badges, it can out manoeuvre them too thanks to a stunning four-wheel-drive system that’ll make you feel like a rally driver should the feeling take you. Blisteringly quick, superb handling, room for your mates and a big spoiler. What more can you ask of a performance car? There’s little doubting any of the above cars’ abilities and attributes, but if we could only pick one to drive day in, day out, it’s got to be the E-Class. Within a month or two of launch, it went straight to the top of its class, and that’s where it has stayed. There’s few things you could not ask of an E-Class. Especially since it’s now available in Estate form, All-Terrain guise and coming soon, a Coupe. The ultimate all-rounder then. What more could you ever need?